We've all been encouraged to reduce, reuse, and recycle to help the environment, but helping Mother Nature can have its own consequences. 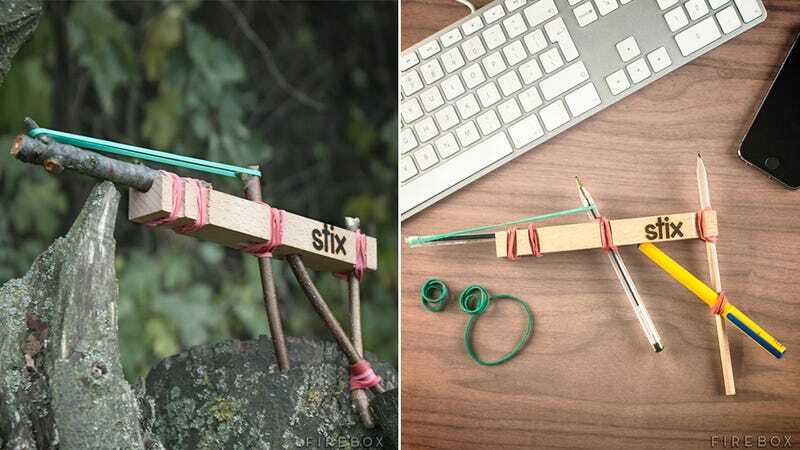 Case in point: this simple block of wood called the Stix, which is strategically notched to let you reuse sticks or dried-up pens to construct a working elastic gun. Great for conserving our natural resources, but terrible for the poor co-workers caught in the crosshairs.